Open access to 936,435 e-prints in Physics, Mathematics, Computer Science, Quantitative Biology, Quantitative Finance and Statistics. Bailii provides free internet access to primary legal materials from Ireland, Northern Ireland, England, Wales and Scotland. BENTHAM OPEN publish over 230 peer-reviewed open access journals. These free-to-view online journals cover all major disciplines of science, technology, medicine and social sciences. Bioline International is a pioneer in the provision of open access to peer reviewed bioscience journals published in developing countries. These journals contain timely research on public health, international development, tropical medicine, food and nutritional security, and biodiversity. BioMed Central is an independent "Open Access" publishing house "committed to providing immediate free access to peer-reviewed biomedical research". BioOne Complete is BioOne's aggregation of more than 180 high quality, subscribed and open-access titles focused in the biological, ecological, and environmental sciences. Nearly three-quarters of the aggregation's titles are ranked by Thomson Reuters' Journal Citation Reports, and 45% are available online exclusively through BioOne participation. This resource is partially Open Access. De Gruyter Open (formerly Versita) is one of the world’s leading publishers of open access scientific content. DOAJ covers free, full text, quality controlled scientific and scholarly journals. We aim to cover all subjects and languages. Dove Medical Press Ltd is a privately held UK company specializing in the publication of Open Access peer-reviewed journals across the broad spectrum of science, technology and especially medicine. EUR-Lex provides direct free access to European Union law. Here you can consult the Official Journal of the European Union as well as the treaties, legislation, case-law and legislative proposals. Firenze (Florence) University Press is dedicated to provide Open Access to Journals in Humanities and Sciences. InTechOpen is a reading platform which serves as a digital home for an ever growing number of 500 books and over 8,000 scholarly articles and chapters published by InTech. This database contains 19 Open Access journals published by Karger. Since 2007, Karger Open Access has served the academic community with an increasing number of fully Open Access biomedical journals and articles. 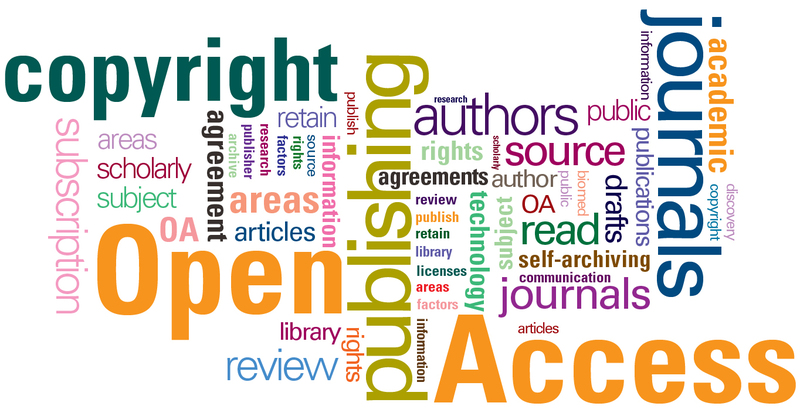 All Karger Open Access publications are immediately accessible online free of charge to readers worldwide, published under a Creative Commons license. MDPI.com, the website of the Multidisciplinary Digital Publishing Institute, is a platform for peer-reviewed, scientific open-access journals operated by MDPI AG, based in Basel, Switzerland. MDPI publishes over 110 open access electronic journals in diverse disciplines. OUP has been publishing OA content since 2004. The Royal Society's world-famous historical journal archive – which includes the first ever peer-reviewed scientific journal – has been made permanently free to access online. SCOAP3 stands for Sponsoring Consortium for Open Access Publishing in Particle Physics. All articles funded by SCOAP3 appear in the SCOAP3 repository upon publication. TheScientificWorldJOURNAL (TSWJ) is foremost an online scientific journal serving the research community with a forum for original research and reviews. The World Bank is a vital source of financial and technical assistance to developing countries around the world.This is an Open Access database. Click on the "Data Catalog" under the main picture to access all the indicators published by the World Bank.